A punk rock musical now on Stitcher Premium! 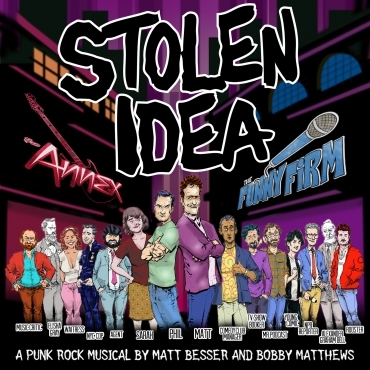 STOLEN IDEA is a comedy punk rock musical that covers the theft of intellectual property in the artistic worlds of music and comedy. The story follows a standup comedian and a rock musician who are both approaching 40 and are fearful their time to “make it” is running out. One has his idea stolen, the other steals an idea. Only the ghosts of Elisha Gray and Alexander Graham Bell can help them now!